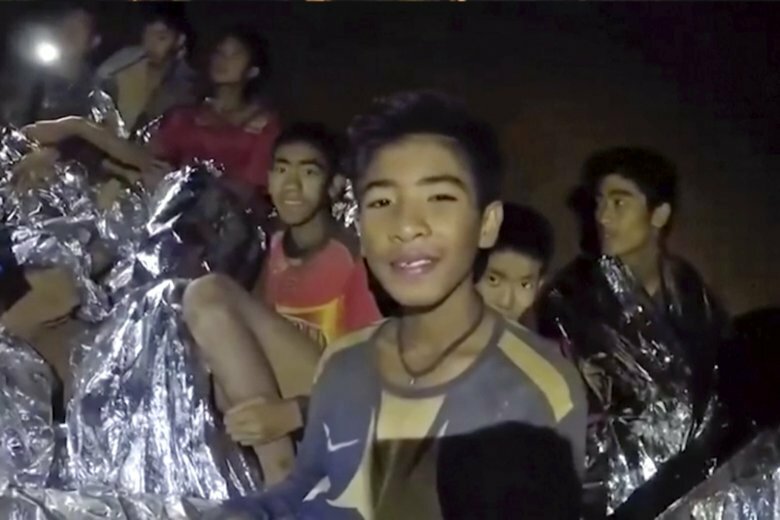 Eleven of the boys and the Wild Boars coach kneeled and pressed their hands in prayer to the tune of chanting monks at the ceremony meant to extend one’s life and protect it from dangers. See photos. 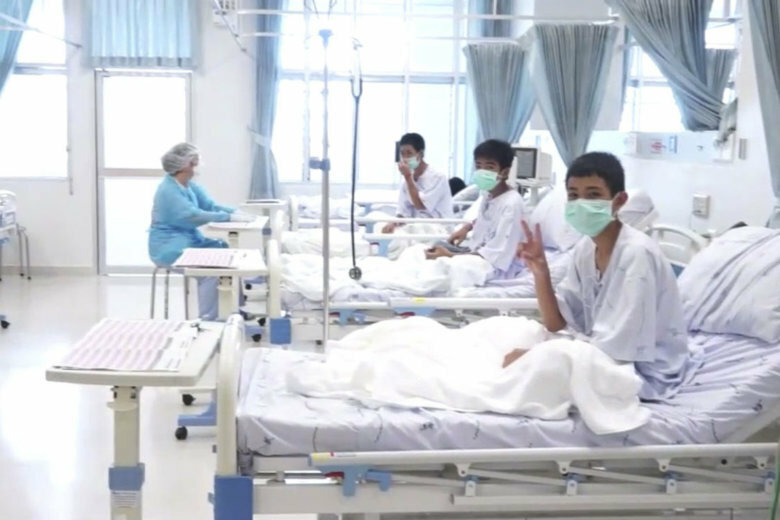 The boys, their faces covered by green surgical masks, flashed the V-for-Victory sign as they sat up in bed and chatted with their nurses. All need to be monitored in the hospital for a week and then rest at home for another 30 days. 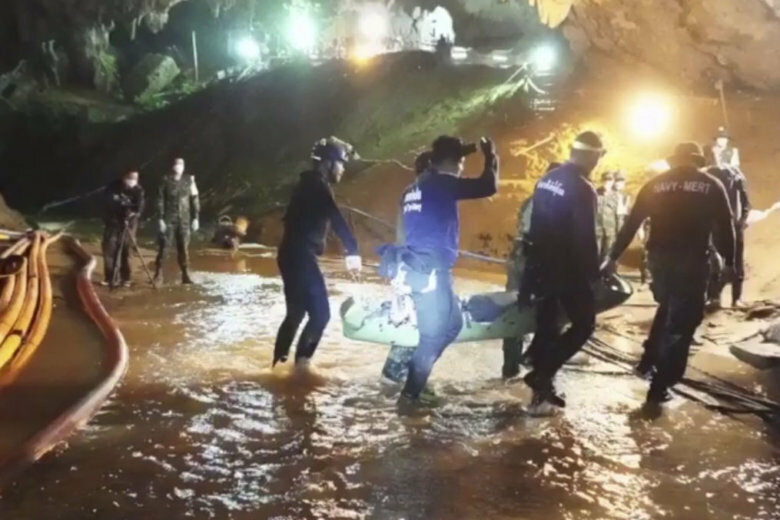 All 12 Thai boys who were trapped in a flooded cave in Northern Thailand have been rescued. 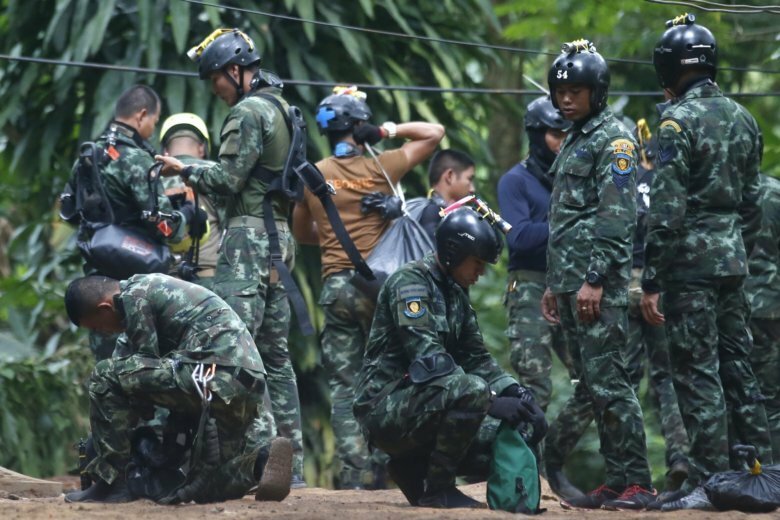 See photos of the search, rescue and celebration. 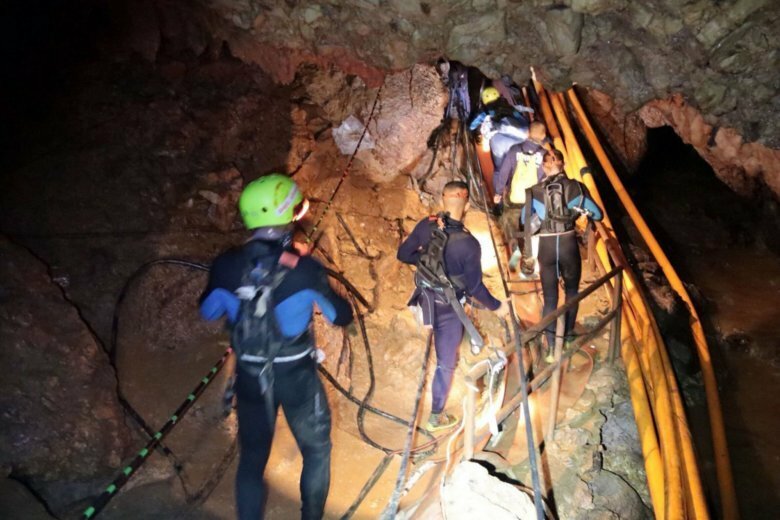 Dozens of divers arrived at the Tham Luang cave on Sunday morning and officials set up more tarpaulin sheets blocking off the divers’ operating area. 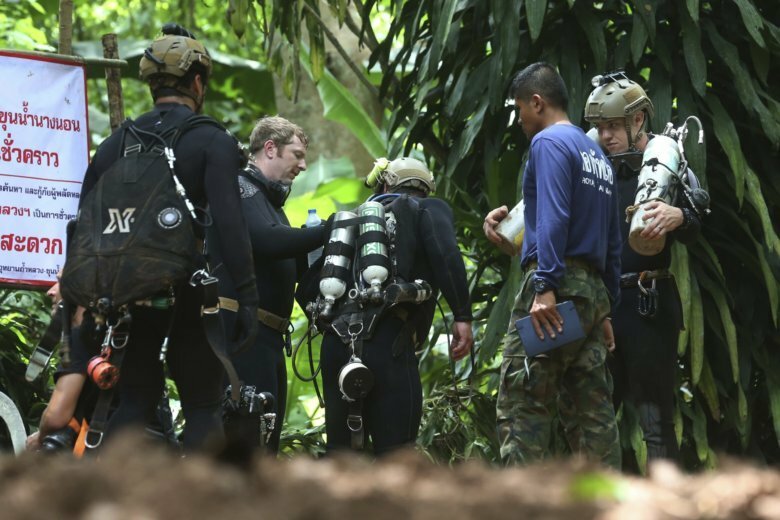 The soccer coach trapped in a cave with 12 Thai boys apologized to their parents in the first letter he and the team have sent out through divers, in which the boys say they’re doing well and missing their families.